And you thought you could bust a move and cut a mean rug?! Nothing compares to this pup’s sweet moves – it’s like a version of the worm or, better yet, the quintessential Axl Rose hip sway! 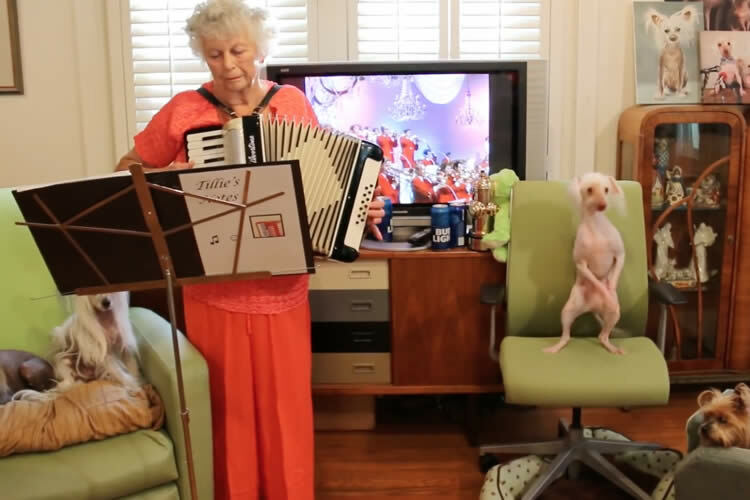 You’re gonna wanna dance along with this pup, too cute for words!